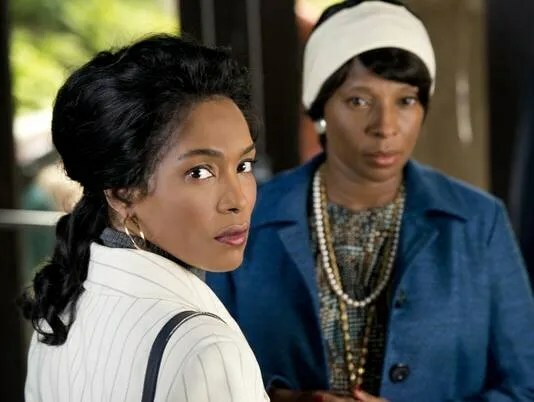 One of my favorite actress, the beautiful and talented Angela Bassett is starring as Coretta Scott King in a new “Lifetime” movie “Betty and Coretta”, with Mary J. Blige as Betty Shabazz. I think this is an interesting idea for a movie. Who knew that these women were such good friends? We never really heard or read about them beyond being the wife of a civil rights leader. I will be tuned in for this one. (I’m used to seeing Angela portray Betty Shabazz. She did so twice, in the movie “Panther” and “Malcolm X”.) Betty & Coretta premieres on “Lifetime” tonight 8 pm EST.